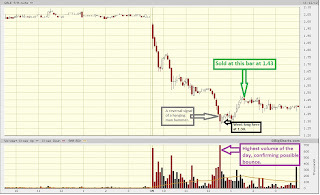 TRADER 9: Trade of the day, GALE!!! 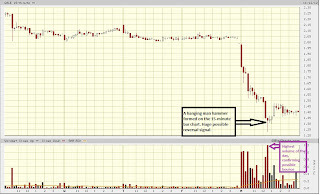 A perfect textbook Dead Cat Bounce play on GALE that I tweeted right at the open on one of my consideration bounce plays for today. 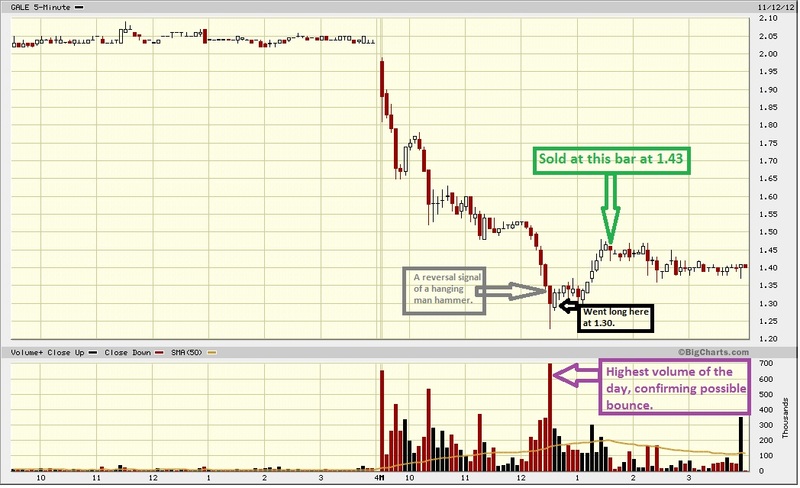 What made this trade so perfect is that the reversal confirmation showed up on the 5-minute bar chart and 15-minute bar chart. 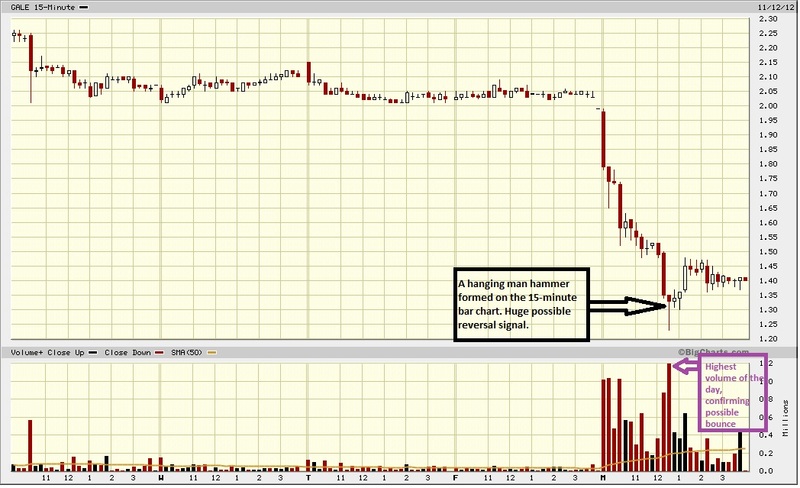 Went long 5000 shares at 1.30 on the next 5-minute bar after the hanging man hammer formed and sold at 1.43 when it couldn't get to 1.50 (my profit target). My risk to reward was horrible on this trade, but it had too much of a perfect setup for it to fail.